Bella's Chicken Condo is home to of 5 hens. 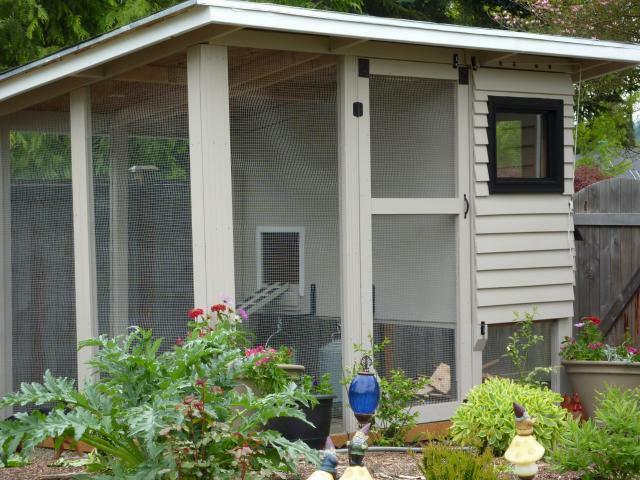 The coop and run is 8x10 feet. The coop and run is 7 feet tall on the fronts side and 6 feet tall on the back side. There are 4 nest boxes. Easy to clean floors in the coop. Door from the coop to run 14x 18 inches. Door open from the coop to run is 12x16 inches. Thanks for checking out our chicken condo.